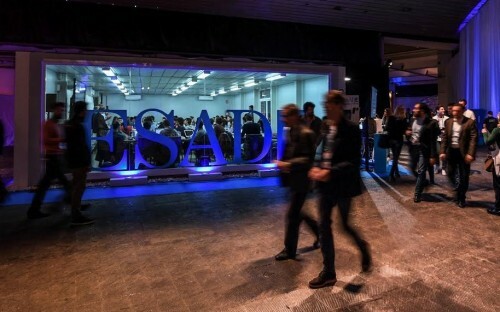 From February 27th to March 1st this year, Spain’s ESADE Business School shifted its campus to the Mobile World Congress (MWC) in Barcelona, taking 350 students from 40 countries along with it. In the first initiative of its kind, ESADE MBA students had the opportunity to attend classes, make direct contact with the companies and entrepreneurs participating in the MWC, and take part in activities organized at the 4 Years From Now (4YFN) entrepreneurship fair. At the MWC, students could network with senior executives from major industry players like Vodafone, Orange, Samsung, Qualcomm, and industry body GSMA. One student even chatted with Sundar Pichai, Google’s CEO. The three-day trip to the MWC - the world’s largest gathering for the mobile industry – forms part of Student First, a new educational model introduced by ESADE to address the challenges posed by digitization. In a dedicated, 160-square-meter-space at 4YFN, ESADE professors taught a course on digital transformation in retail and introduced students to tech trends like big data and the Internet of Things (IoT). ESADE hosted a panel discussion on blockchain, and ESADE alumni entrepreneurs showcased their high-tech startups. Among them, a company developing virtual reality glasses and a drone-based emergency services startup. Itsuma is president of the ESADE Quick Immersion Platform (EQUIP), which he set up to expose students to the latest trends in the telecoms and internet services industries. EQUIP helped organize passes to the MWC and private tours of ‘invitation-only’ exhibition spaces to network with representatives from Huawei, Cisco, and Digital McKinsey. Itsuma has over a decade’s experience in the telecoms industry and worked as a network engineer at NTT DoCoMo - the leading mobile operator in Japan - prior to his MBA. He chose ESADE because of its focus on innovation and all things tech. Even before the MBA, I had visited the MWC for a couple of times, and I knew studying in Barcelona would be a very good choice for me to stay relevant within the mobile industry and build my network. The highlight of the MWC was definitely my experience with EQUIP. I had the opportunity to discuss the future of the world’s mobile communication ecosystem with many of the industry's leaders. And it was not just me: one of my classmates met the CEO of Google! I am also extremely happy that I could work with a team of talented and motivated classmates at ESADE to make EQUIP happen. We did lots of cold calls, seeking sponsorship for the tickets as well as the guest speakers. Going through all of that, I learnt about team and project management, and I met really cool friends that will last for life! One day, I want to run a wireless communication company. The MWC helped equip me with a network and knowledge on the latest technology and business trends so that I can rocket-start my post-MBA career in the telecoms industry. Praneeth is a former Microsoft software engineer and current chairman of EQUIP. He relocated from his native India for an MBA at ESADE. After graduation, he wants to work in venture capital and help drive tech innovation. When applying to ESADE, I got to know about the MWC and the golden opportunity it represented to hear from and interact with some of the world's top executives in sectors that will undergo a radical transformation in the next few years. Attending the MWC was a truly magnificent experience! I was extremely lucky to have scheduled meetings with some of the world's top executives in the industry – from company’s like Cisco, Oracle, Microsoft, Nokia, and Intel to name a few. One of the highlights was attending sessions delivered by Masayoshi Son – founder and CEO of Japanese telecoms giant SoftBank – and Indian entrepreneur Bharti Airtel, founder of Sunil Bharti Mittal. I also got a few moments of private conversation with bitcoin pioneer Vitalik Buterin, the co-founder of Ethereum. The MWC helped me appreciate the perspectives of various stakeholders in the process of driving an interconnected world. This, coupled with the contacts I fostered, my business acumen from my MBA at ESADE, and my technical skills, puts me in good stead of being able to deliver value to the industry. Shilpi worked as an operations specialist for BMW Finance in Dubai before her MBA. She wants to go into tech-focused roles after graduation. Her experience at the Mobile World Congress has set her on the right path. It was awesome! I was like a child in a wonderland. Virtual Reality and Augmented Reality dominated, and every company including Ford, Samsung, Tata, and even Nokia had something to showcase. They covered not only the future of the workplace, but society as whole - including drones, sustainability and mobility. I am so looking forward to that kind of future! I am not from a technical background professionally, but being an enthusiast, I want to enter this domain. I thought my options were limited to tech companies. But at the MWC, I saw that almost every company is working towards more digitization – like using Artificial Intelligence for their chatbots, or using VR for customer experience. The experience has opened up new career possibilities for me.